Imagine walking through a beautiful forest of trees, offering extraordinary diversity – from pear to birch, from amelanchier to olives. 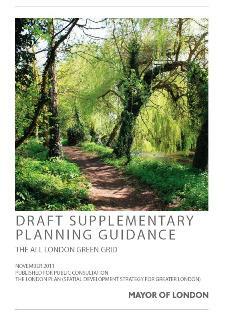 It would take a while because there are over 600 trees to enjoy – considerably more than the number found in an average orchard. The thing is this ‘forest’ is in a place that those of us lucky enough to live or work in Marylebone walk through every day. The west of the forest is framed by Edgware Road, Marylebone High Street to the east, Marylebone Road to the north and Oxford Street to the south – and its existence can only be described as an extraordinary accomplishment. 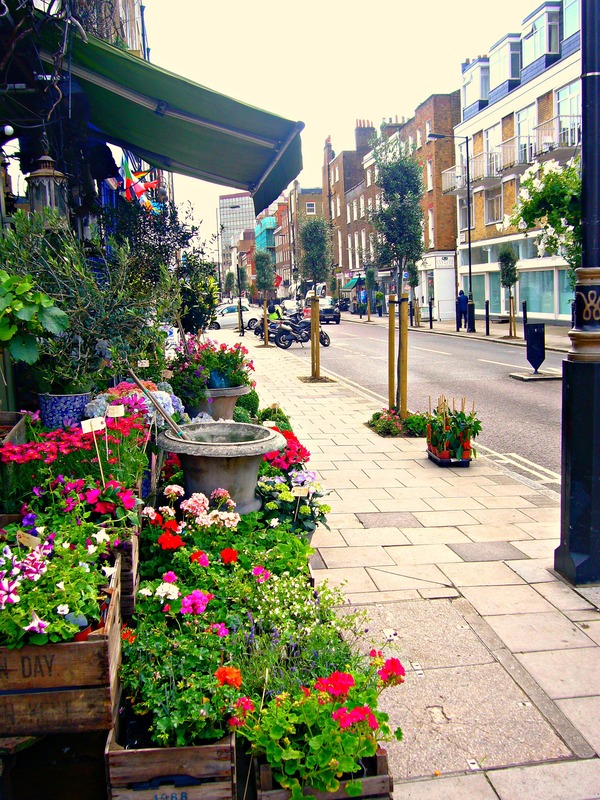 It was only 5 years ago, in 2008, that a group of locals got together with the idea of greening Marylebone – and a target of 119 trees for the whole area. 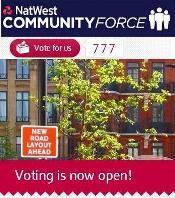 It began in ‘east Marylebone’ and soon spread to ‘west Marylebone’. 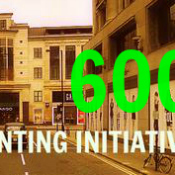 Now there are over 600 trees in total, approximately half of them in the area defined as west Marylebone. 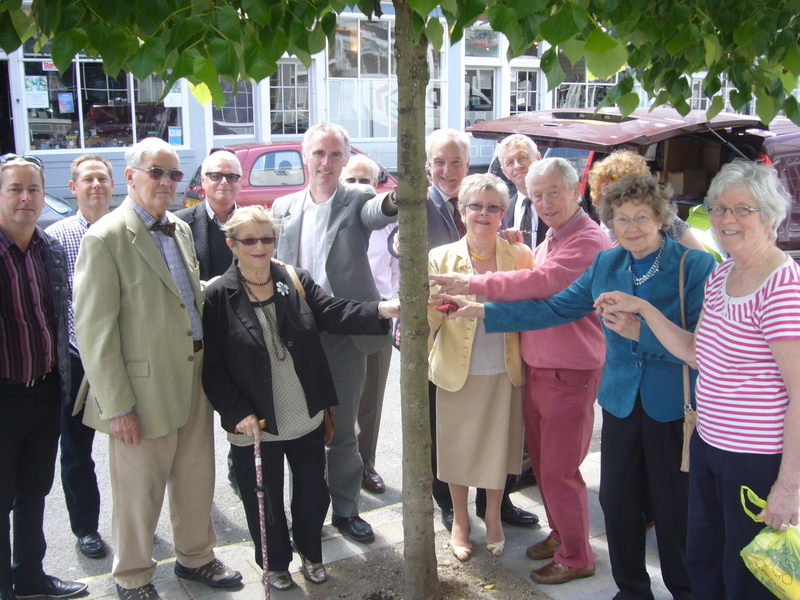 Businesses, individuals and community groups all got together to raise funds and later organise the planting. 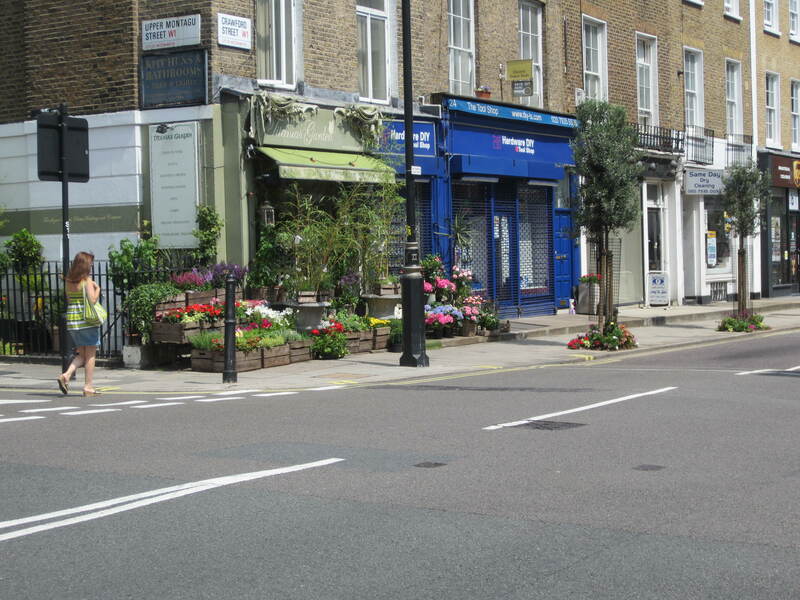 The Portman Estate worked closely with the Tree Section of Westminster Council – with many businesses in the vicinity contributing sponsorship money and support. 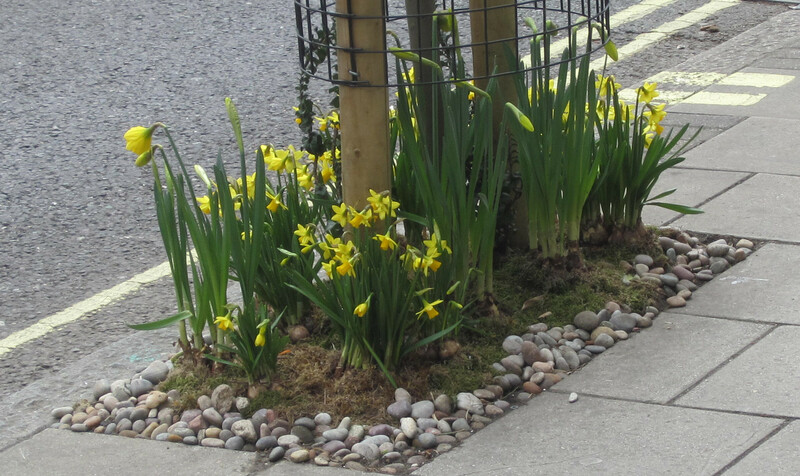 I don’t suppose many of us spend too much time thinking about what is under our feet as we pound the streets but it was a real priority for those doing the planting. Each site had to be excavated to check whether tree roots would interfere with the various services and equally whether there would be enough room for roots to spread and grow. 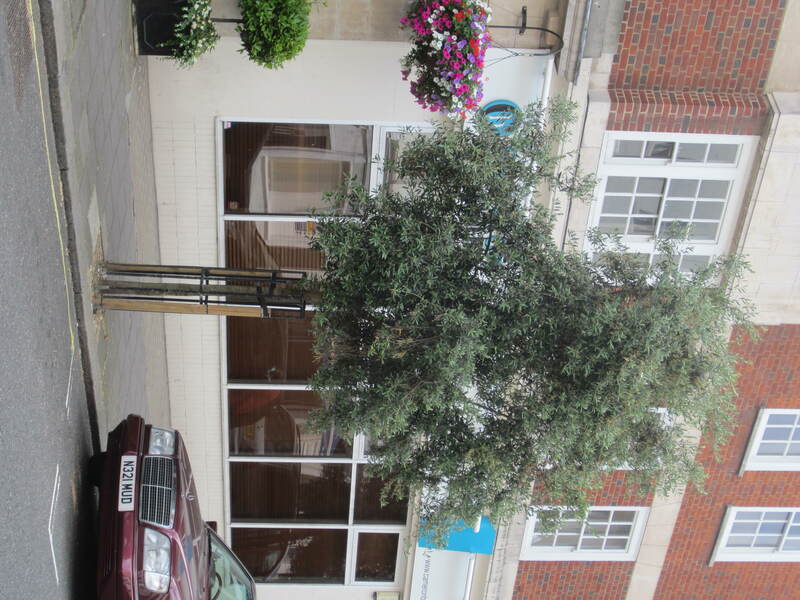 Olive trees were chosen for Crawford Street blending in beautifully with those already planted in large tubs outside Clarewood Court. They are a particularly useful species in this environment as they actually like having their roots squeezed. 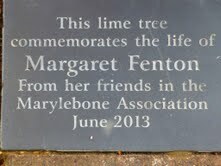 Margaret Fenton, who lived and worked in Marylebone for most of her life, left a generous bequest to The Marylebone Association when she died in 2010 so some of the money was used to dedicate a tree to her memory. 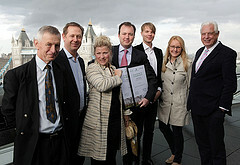 A group of friends and Marylebone Association members got together for the unveiling ceremony. 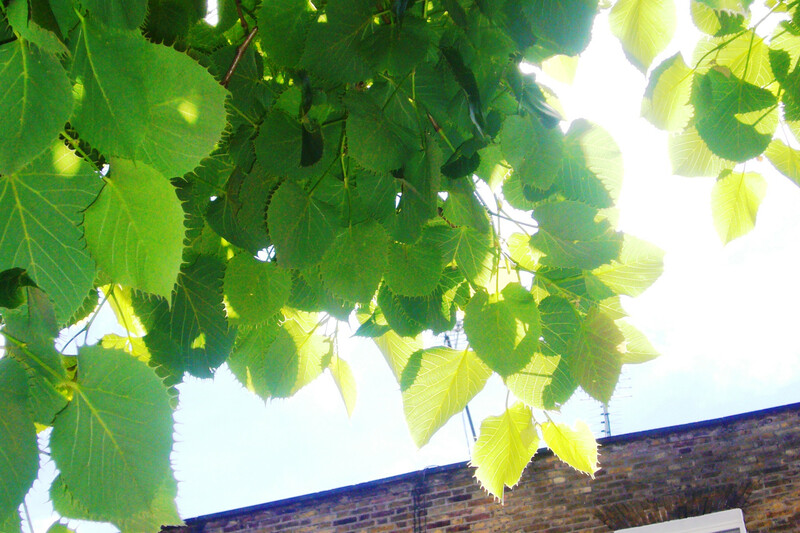 The tree is planted outside The Temperance pub in York Street – a rather beautiful lime tree, Tilia henryana, whose leaves have an unusual serrated edge. A small plaque is embedded (firmly!) in the pavement in her memory. What a difference the trees have made! Apart from the aesthetics – the pure joy of walking down a tree-lined street – they earn their keep by absorbing carbon from the atmosphere but the increase in the number of birds to be heard singing away in the early morning and later at night is quite astonishing. So that’s it, all done and dusted? Well not quite. 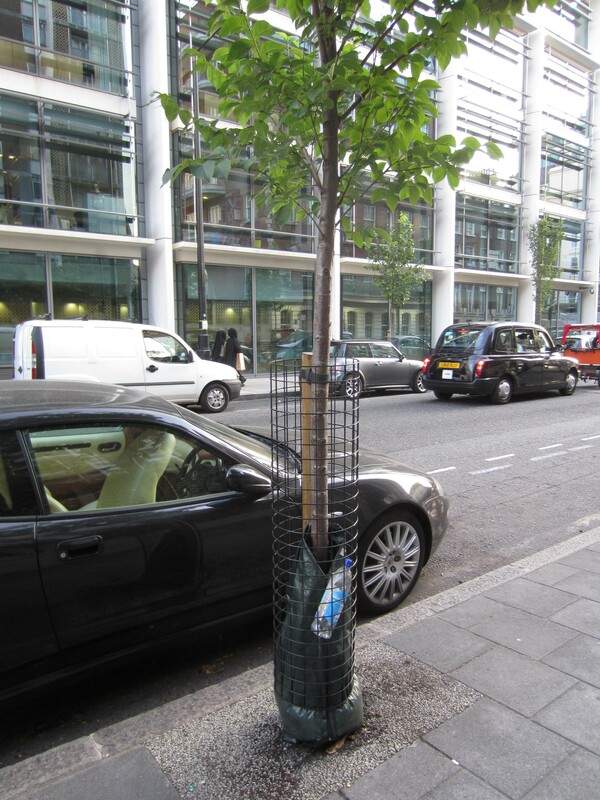 For reasons which remain a mystery, some people seem to have trouble distinguishing the tree cages from rubbish bins – and carefully stuff their cardboard coffee cartons or empty drink cans down inside. Why we’ll never know but if everybody who saw them took a minute of their time to remove them it would be much appreciated by all. 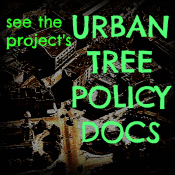 Free the tree from litter! As with any living plant matter, the trees will grow on their own, getting larger and providing increasing shade as they mature but there are also back up plans in place to keep an eye on them, to make sure if any die or become unsightly they are replaced. The little ‘green jackets’ the trees are wrapped have raised a few questions too – what are they? 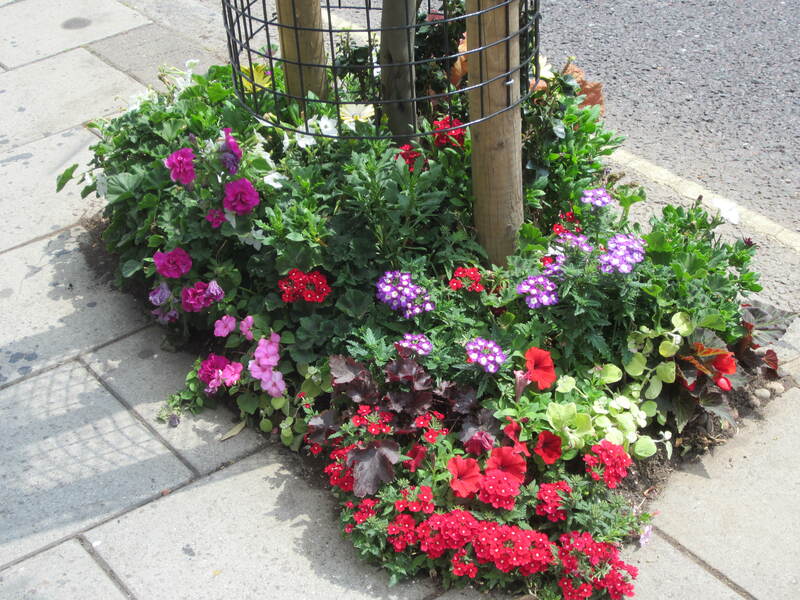 In fact they are to catch rainwater and make sure the trees don’t dry out although the species have been chosen for their ability to survive and thrive in a relatively confined space – a little like the people of Marylebone themselves? 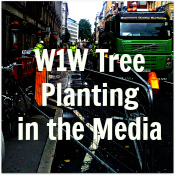 This entry was posted in CRAWFORD STREET & GLOUCESTER PLACE, Marylebone, Project Updates, West Marylebone Tree Initiative and tagged fenton, margaret fenton, marylebone, marylebone association, olive, portman, Portman Estate, Rosemary Forgan, tree planting, w1w, west marylebone. Bookmark the permalink.